The marketplace is strewn with project management software that is meant to put you at the top of your project management game. 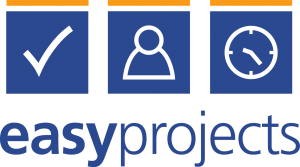 Easy Projects sits at the top of the list because it is customisable to the degree that a PM can personalise almost all aspects of the program. There is even the option to include your company logo. More appealing, maybe, is that Easy Projects offers a free plan with services up to 1GB and is available from the cloud, making details of your projects accessible from anywhere. This software spares you the need for separate spreadsheets, emails and whiteboards. It provides a simple workspace within which your team can collaborate, and there are project templates, offering simple project setup. The software comes with full implementation and training. One of the most exciting tools in this platform is the ability to set up a critical path and multiple dependencies. This allows you to make changes in one task and clearly see how this relates to others. On a simple level, this may mean you only need to change the date once in one element of the project for it to automatically update across other related tasks. The path feature allows you to quickly identify and display or all functions that may affect the project deadline. We like Teamwork for the name alone. A successful project manager will respect the role of the team in the success of the project. But, realistically, this software reaches number 2 because it comes with some world-class features. It allows you to organise everything about a project in one spot. It will help you to plan, providing an in-built Gantt Chart to act as a timeline, within which you can set up dependencies and keep track of your team. Much better is the inbuilt communication tool that allows you to mention a user and ensure they see the message within their workspace in the software. It also facilitates communication with stakeholders outside the company. Despite the team ethos of the software, each user will have a personal dashboard, labelled “My Work” where the days, weeks, months work can be managed from a single screen. This project management tool may have actually been around at the time of the caveman; such is its history. Some would say this is a reflection of its pedigree too. 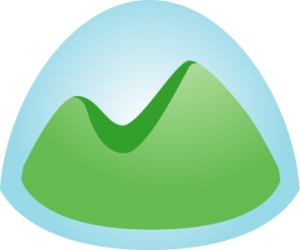 Basecamp has is a simple and easy to use interface, which allows collaboration with your team and a client – with the opportunity to set up discussions. There is the option to run multiple projects, as well as to-do lists, manage files, create and share documents, as well organise dates within a schedule. One of the best features of this platform, and why it reaches number 3, is the option to manage projects and check status updates on your mobile. ActiveCollab is a powerful tool made much better in its recent upgrade by the option to make payments via PayPal. But, it is most useful for the ability to store each project along with the connecting files, discussions, time records and expenses. Every member of the team has their dashboard that’s about their work. The platform allows team members to track updates and see which job that needs completing next. It is easy to set up a workflow, and once underway, receive notifications once tasks have been completed. You also have the option to view your workflow your way. Therefore, it can be viewed as a Gantt-like table, or as cards that can move across columns, or if a simple list is your preference, then this is possible too. One of the features that gets this platform to number 4 is the option in the platform for collaborative writing. It offers a full history of revisions, giving you the opportunity to review and then return to previous versions. The user interface on Trello is the most compelling feature. It is easy to set up a workflow on a single screen, with cards for each part of the process. It is then easy to set up conversations, to-do lists, conversations about specific parts of the project – in which anyone can collaborate. The simple, yet highly appealing feature, is the ability to drag and drop different parts of the project along the workflow and then archive these when the project is complete. The control of visibility to these boards and cards is fully customisable by the administrator, allowing for partial visibility across the team, if necessary. But, it gets to number 5 on the chart because it is entirely free – unless you want some helpful but mostly unnecessary extras. Claimed to be loved by over 10,000 teams, including the United Nations, NASA and the US Postal Service, this is quite some testimonial – and ProjectManger.com deserves a place at number 6 in our list of the best PM software available. The core functions of the software are to plan, track and report but the great thing about this software is that you can access it anywhere. The platform is compatible with the desktop software, Apple and Android devices. The dashboards are easy to navigate on any device. Planning is available through an interactive GANTT chart, which allows you to drag and drop the schedule and click on blocks of projects to view files, add comments and collaborate with others. 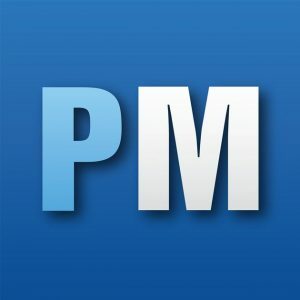 Realistically though, the primary feature that puts projectmanager.com amongst the best software is its ability to integrate with office apps, google apps, Dropbox, slack and Salesforce software. This reduces the need for data duplication and therefore ultimately improves the efficiency of your team. When in doubt go to the boss of the software arena for PC. There are loads of software out there that package themselves as the best alternative to purchasing Microsoft Project but realistically can they even compete? MS Project is unrivalled in its ability to create a work breakdown structure, offering laser focus on the minutiae of the project being managed. A manager can drill down to subtasks and focus on dependencies and assign resources. The high-level view offered by MS Project also takes into account the need for keeping the project horizon in sight. The finite planning of the GANTT chart is all well and good, but realistically there needs to be a second executive view for the high-level view of planning that gives a snapshot of the whole. The key feature, however, is the chance to export views of the plan into pdf. As a large proportion of the project manager’s role is selling the “why” of the decisions being made, then being able to export this decision process in a view understandable by multiple stakeholders is invaluable. The reason to love Hansoft is the boost given to collaborative features. Hansoft also allows you to import projects from MS Project, and export them too, so migration of project data is convenient and straightforward. What is so impressive about Hansoft is that it is free for up to 2 users. It is available for multiple devices too, but if you want to collaborate, then you will need to host the software on your server, which is a bit of a downside. Smartsheet’s is an online PM tool, marrying some of the more traditional project management tools with the facilities of an online spreadsheet. This gives the user some particularly useful automation features that can reduce administrative labour. It is a cloud-hosted and web-based system that comes complete with its apps, which means collaboration is dominant in this platform. Where does the name come from – well, the ProjectLibre platform is free. It is an opensource platform that tries to emulate the look and functionality of Microsoft Project. 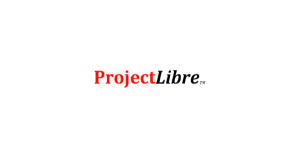 For these lofty aims and great charity, ProjectLibre deserves its place in the top 10 best project management software. There is a simple to produce GANTT charts with some of the more standard workflow tools. There is the option to import .mpp files and resave them in the same format. Omniplan has made a list because of the scarcity of Mac options mentioned already. This is a Mac desktop platform that has a neat drag and drop GANTT chart, complete with tasks, subtasks, milestones, assigned resources and dependencies. This means that you can do your sharp, focused planning beautifully – this is a Mac-orientated product remember – everything is pretty! The best bit about Omniplan is the change-tracking that allows collaboration and an automatic record of the changes made to the plan, by whom and when. It means that changes can be unpicked and reversed on reflection and with collaboration! All changes can be accepted and rejected by the PM or by the team in meetings. The best project management software to use, tend to promote collaboration and versatility over most other features. The ability to work anywhere is crucial in today’s global marketplace, and the chance to work with your team to an outcome is the sure route to success. 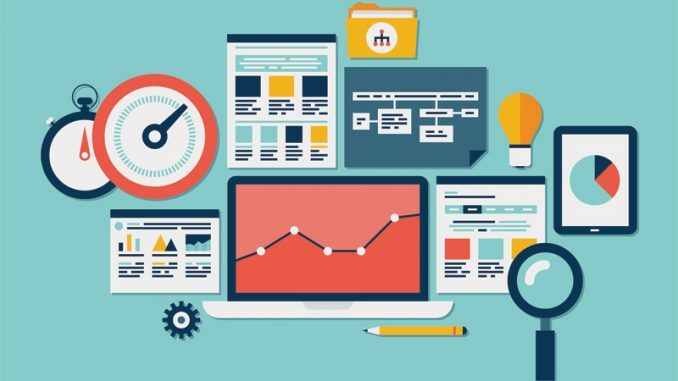 The other snazzy features are there for the geek in us, the offer of free resources is pretty great too, but overall the best project management software to use will help you work as a team where you need to work. However, one of the most important things to remember is that regardless if you’re a project manager or a product manager – you can start introducing any of these tools into your team! If you are looking to get certified then read our article about AIPMM certification.